In 1900, author L. Frank Baum published the children's novel The Wonderful Wizard of Oz. The story of a young girl living on a Kansas farmhouse who is magically transported to the mythical world of Oz, the book would become one of the most beloved and important works of the 20th century. It spawned the immortal 1939 film of the same name that is continually hailed as one of the finest works in all of cinema. The story also inspired numerous stage adaptations, including a 1902 play, a 1945 production featuring songs from the film, and a 1987 staging by the UK's Royal Shakespeare Company. 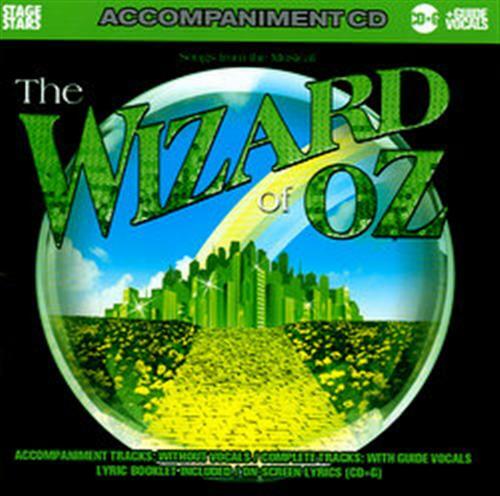 Sing twelve unforgettable songs from the wonderful tale of Dorothy, the Tin Man, The Scarecrow and The Cowardly Lion.